Luke Marklin, CEO of Bellhops in Chattanooga, sits in the lobby of the Warehouse Row headquarters. 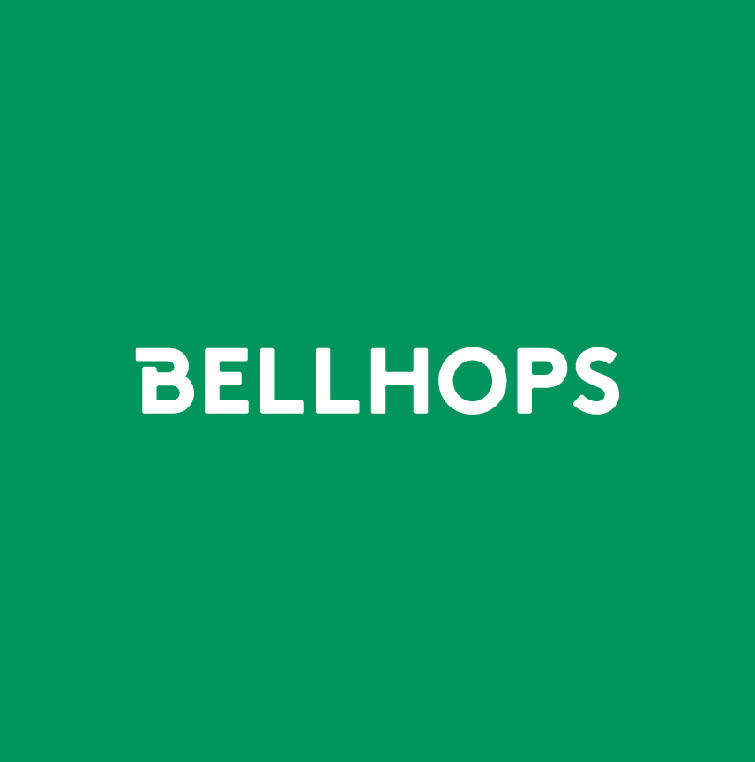 The new Bellhops logo created with the help of Gin Lane, a New York—based agency that has worked with Whole Foods, Nike, Smile Direct Club and Bose. Founded by Auburn University graduate Stephen Vlahos and his college colleague Cameron Doody, Bellhops uses a tech-enabled platform and a workforce of mostly college students to offer a lower-cost option for moves. Last year, they hired Luke Marklin as CEO to help move the startup venture through it's next stage of growth. Marklin was a general manager at Uber in the region before joining Bellhops. In July, the company went viral after a Birmingham-area employee, 20-year-old Walter Carr, walked 14 miles to help a customer move after his ride fell through. Marklin gifted the employee his SUV to help him get to work in the future. Marklin will appear Friday on the nationally televised Steve Harvey show to talk about Carr and Bellhops. Company officials said that after hiring the right people and updating their technology, the next stop was building a brand that would help sell their Chattanooga story to the rest of the country. Scott Downes, chief technology officer at Bellhops, said the data the company has collected through their moves in the past seven years has also helped them rise to a certain level of sophistication not seen from competitors. "We have the ability to match the right mover with the right jobs — we often compare it to a dating service," Downes explained. By answering a few, select questions online, like how many years a customer has lived at their current location, Downes said they are able to determine with a high degree of accuracy how long a move will take and how many movers should be there. "As we collect more data, we get more accurate," he said. "The main goal is to deliver the most friendly and high-quality move we can."